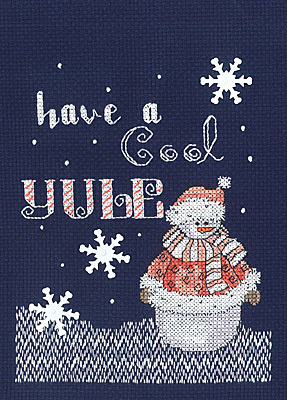 Add some fun and whimsy to your holiday season with our quick-to-stitch design by Carol Robinson. The bargello stitched ground and the snowflake sequins are the perfect finishing touches. Each kit includes 14-count navy blue cotton Aida, 6-strand cotton floss, sequins, needle, chart and instructions. Finished size is 5" x 7".